A service that allows registrants to upload their photo during the registration process for the purpose of it being displayed on the badge. Images submitted are processed through Google Vision API to identify the content of the image using powerful machine learning models to detect and reject inappropriate content. The service can be used for both advance and onsite registrations. CompuSystems has established registration and housing integration with the top housing providers in the industry. The level of integration varies with each company. A registration application that allows people who registered in advance a quick way to get their badge when they arrive at the show. 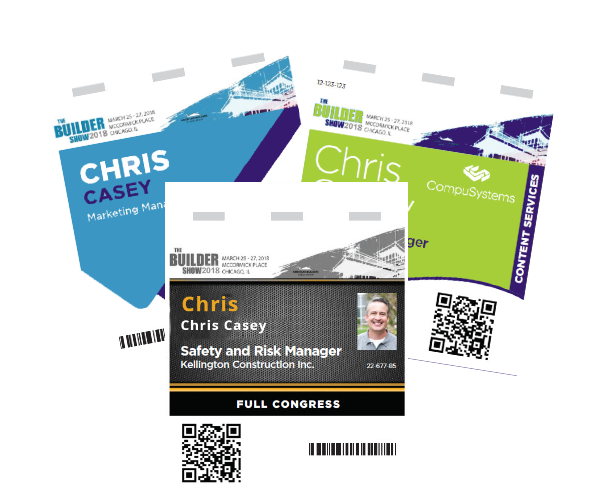 We include a barcode and instructions on their registration confirmation that directs them to a self-service Express Badge Pick-up area where they can scan their barcode and have their badge printed immediately. The Confirmation Tool allows organizer to easily customize their confirmation and other communication emails. Start with a pre-designed template or from scratch. 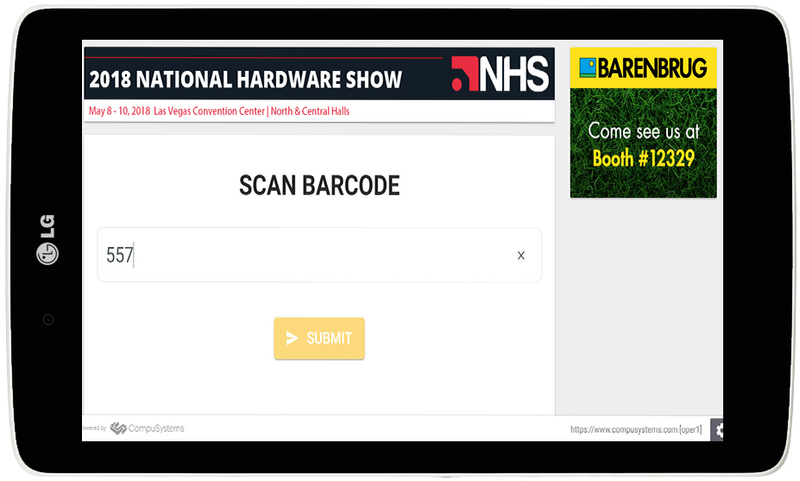 A tool for exhibitors to promote their booth and your event from their company’s own website. A widget is a small snippet of code that exhibitors can download from the registration dashboard and place on their corporate website.